Fidget Spinner – When my tweens play outside or play with toys, I’m thrilled. A few weeks ago, my 11 year old came home talking about a fidget spinner. When I looked up a fidget spinner on Amazon and saw they weren’t that expensive, I was even more interested. We bought them a fidget cube and fidget spinner each. They loved them so much that over the next two weeks, we bought more fidget toys as gifts. Anything that will keep kids off of electronics is a win. Here’s what to know about fidget toys. First of all, know that fidget toys, including fidget cubes and fidget spinners, are addicting. Everyone from preschoolers to all ages of adults enjoy them. Keep in mind small parts for younger children, including younger-aged siblings. Professionals working in offices love them. You might see someone on the train spinning a hand spinner or someone playing with a fidget cube waiting in line at a checkout counter. These fidget toys are actually a refreshing change from seeing everyone on their smartphones. These toys give you something to do while you are waiting and are meant to channel your energy into a calming and relaxing activity. They are touted as stress relievers and are advertised as helping to reduce anxiety. 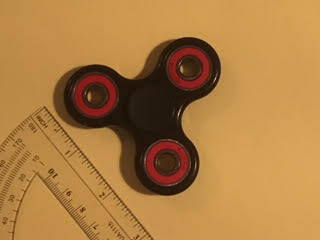 Companies who sell fidget cubes and fidget spinners explain that individuals with ADD and ADHD may enjoy fidget toys. Teachers and educators are buying fidget cubes and fidget spinners to help students focus. These are kids who may otherwise be distracted in class. They use them in a variety of ways, helping to develop and fine tune motor skills, to ease test anxiety, and to help kids with ADD, ADHD, anger issues, and more. And need I say that kids love them. They are all the rage at schools. I love that my kids play with them in the car and make up games to play with them at home. The idea behind most fidget toys is they allow you to quietly channel your excess energy without disturbing others. Steel bearings enable you to spin the fidget spinner endlessly, occupying your hands and your mind. These hand spinners are fairly quiet; they make a consistent hum. A fidget cube is also designed to keep you occupied and multitasking without disturbing others. However, the fidget cube has a few operations which make a little bit of noise — clicks — when you use it. A fidget cube and fidget spinner are also great conversation starters as people will most likely ask you what you are doing. Those who already have seen them or who own one, will be keen to share this in common with you. 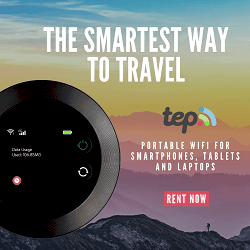 Where to buy fidget cube? There is a wide selection of fidget cubes on Amazon. Most of them are black or white cubes. The buttons, slides, and gears are sometimes green, red or blue. As time goes on, they are making more varieties. 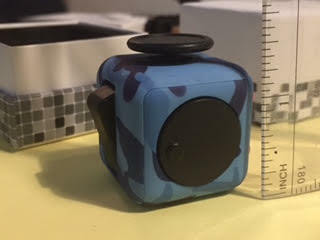 My son ordered a blue camo fidget cube. It arrived in three days, and he loves it because it’s so unique. He has declared it is the best fidget cube. The only place I’ve seen fidget cubes in a retail store is in a specialty gaming store. These are usually in malls. Fidget cube Amazon Prime is the way to go! My other son bought a space design fidget cube. There were a few styles on Amazon. It looks really cool but we are still waiting for it to arrive. It’s so unique, he was happy to wait. Please note, when ordering fidget cubes on Amazon, the pictures will often show four cubes in the picture which naturally would lead you to believe you are buying four fidget dice. They are doing this to show you the different sides and operations on each side. Most likely, you will be buying just one fidget cube. There’s a cool fidget toy with 12 sides that I call a 12-sided fidget die. Some call it a 12-sided fidget cube but it can’t be a cube if it has 12 sides, right? We haven’t tried this one yet, but it looks awesome. These also come in a variety of colors. Something educators might like about these 12-sided fidget blocks is that they have a loop on one of the sides so they can attach it to a lanyard. Where to buy fidget spinner? We found dozens of fidget spinners on Amazon. Make sure it’s not 3-D printed. There are more fidget spinners available through Amazon Prime now as well. When we first bought them, they seemed to be shipping from third parties and some came directly from China. There was a wide shipping window, often spanning a month or longer. And that’s after it would ship out. So it would take up to two months to receive the fidget spinner. That isn’t the case now that they are becoming so popular and more vendors are carrying them. Fidget Spinner Amazon Prime is your best bet. They now offers more of the mainstream colors with fast shipping. For more fidget spinners in more unique patterns, colors and materials, you will still have to wait for several weeks. We found ceramic spinners, touted as being able to spin for two minutes (rather than the ball bearing ones we bought which spin for 45 seconds). The ceramic spinners sold for $20, and we didn’t buy them. UPDATE: Since writing this, my kids have ordered additional fidget spinners on Amazon. Some we have thrilled with due to the low price and quality of the spinner. It seems every time they log on, there are more spinners to choose from. There are some really cool designs! However, be aware of buying from new sellers. We’ve done this twice, and neither time did we receive the items. 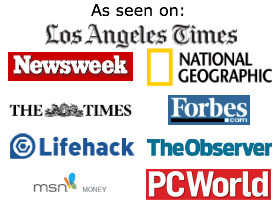 Buy from the people and companies who have several reviews, not brand new sellers. Both times, the seller entered in a USPS tracking number that wasn’t valid. When I contacted them about the delay in receiving the spinners, Amazon wrote back to say the companies were no longer in business. Yet, we’ve been very pleased with two spinners we ordered that came directly from China. They took longer than the Amazon Prime ones, but my kids were very happy with them. I’m happy they are enjoying them, they were inexpensive, and that they can use their money on something they really wanted. Buying a fidget cube is affordable. Fidget spinners are inexpensive too. This makes them very popular as there are low barriers to entry. These cubes and spinners can be $4.99 up to $200 or more, depending on the shipping speed and the materials the fidget spinners are made from. The ones we bought were all under $15 each and worked well. The question is more, “What do you do with a fidget cube?” You control it. It’s a cube with six sides. Each side has a different operation for you to perform. Depending on the fidget cube you buy, there may be some differences, but generally, they all have the same idea. So basically, you get to spin, push, roll, slide, tug, flip, maneuver, and rotate to your heart’s content. The 12-sided fidget toy gives you even more options. Sometimes these are called fidget dice. They are larger than dice. Remember, a fidget cube will make a clicking sound. It’s mild, but know they won’t be appropriate in all settings. Something for kids to do on car rides, on errands, etc. Fidget spinners spin in circles and are meant to give the person who can’t sit still something to do. So instead of tapping a pencil repeatedly on his/her desk or clicking a pen, one might spin this toy. It might stop you from biting your fingernails or bouncing your leg. It’s sort of the same idea. It might help keep you on task, all while you are spinning this toy. Fidget hand spinners are described as helping you to reduce stress and anxiety. They can help keep people occupied (while spinning) and focused on the task in front of them. When my son first described it to me, he said, “It’s a toy that spins in circles and helps to reduce stress. It didn’t matter whether or not he is stressed. He talked about it so excitedly and passionately, I realized this was the new thing sweeping schools across the country. Do you remember when those Loom Band kits were so popular? My kids enjoy having contests to see who can spin theirs the longest. They are also making up tricks and spinning them in different situations. Something for kids to do in the car or on the bus to/from school, on errands, etc. If you are someone who has a difficult time sitting still, this can help you reduce stress. Might these fidget toys create the fidgeting habit in children who weren’t fidgeters? We love American-made products but most likely won’t find fidget toys made in America. Of course, in our era of immediate satisfaction, we searched Amazon to find the best fidget cube and the best fidget spinner. Who doesn’t love online shopping for the convenience and choice? Over a two week period, we ordered several fidget spinners and fidget cubes on Amazon. I ordered them for my kids, and we bought them for two friends as gifts. I am combining the cube and spinner review because the products are so similar in that they are both novelty items. Your kids will want both of them. We purchased four fidget cubes and five fidget spinners. 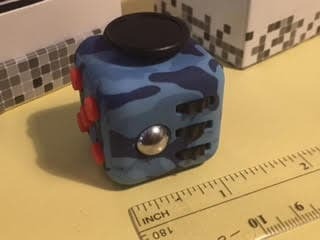 Camo fidget cube: When my child showed his friends this cube, it created a lot of interest because the pattern is so unique. The operations on it seem sturdy. My kids have enjoyed playing with it. Space fidget cube: This is a really cool and hard-to-come-by pattern. We paid for shipping for this one. My son was willing to wait for it. It won’t be here for up to two months. So we haven’t tried it yet but are anxiously waiting for it. 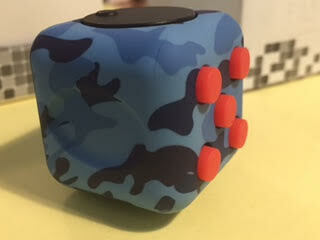 Awesome fidget cube; we bought two of them: This was less than $10, and it arrived in two days. We ordered two of these as gifts in different colors (green and blue). First fidget spinner we bought: This was the first fidget toy we bought. Because of the quality, it lead to our other purchases. This one comes in a lot of different colors. It’s very sturdy, easy to wipe off, portable, inexpensive, and lots of fun. We bought two of these fidget spinners: This one also comes in a lot of colors. We bought two of these. One for my son and one for a friend. We ordered them on a Saturday, and they arrived on Monday (two different states). However, I’m the only one in my family with this opinion. Metallic fidget spinner: We are still waiting for this awesome one to arrive. My son ordered the spinner above in the meantime because he really wanted a spinner. He’s agreed to share this one with me when his other one comes in – ha! While I’m not sure if any of these “officially” qualify as the best fidget cube and the best fidget spinner, my household is very happy with them. Since receiving them, they have played with them everyday. They play with them individually and together. I was surprised once when my younger child had an “Aha!” moment and remembered his spinner. He put down the iPad (shocker!) and began playing with the spinner instead. He loves doing fidget spinner tricks. Even though they are made in China, I feel like they are all decent products. So far, both kids keep them by their beds on their nightstands and carry them into the living room when they wake up. They are durable, and while made from plastic, they seem sturdy and safe. Again, be aware of having these smaller toys around babies and young children. We’ve gone on a few long car rides, and my kids enjoyed playing with the spinners to pass the time. The only negative is that the fidget cube makes clicking sounds. I didn’t expect this; I thought the cubes were meant to keep the user distracted without distracting others. Still, you could easily bring the cube in the car, to a restaurant or on errands. It would even be fine for the library. However, unless many students had these in class, I’m not sure how one child could use it as it would be very distracting. For the ones we bought as gifts, we had Amazon ship the fidget toys directly to the out-of-state friends. So while I’m basing my fidget review based on what the parents told me, the fidget spinners and fidget cubes we bought them have been a success. One of the moms told me her teen daughter wants one too. The parents hadn’t heard of the toys, and neither had the kids, but they loved them. They are a unique gift idea and each came in a surprisingly nice box. It made for a nice presentation. My one child has been keeping his fidget cube and fidget spinner in their boxes when he puts them in his backpack. Also, please note: When we ordered these fidget spinners on Amazon, many descriptions said they were non-3D printed as if that is a good thing. I’m really not sure what a 3D-printed fidget spinner would be like, but apparently, you don’t want it. I keep thinking back to the person or company who invented the original fidget cube and the original fidget spinner. They must be wishing they could have officially branded this to avoid copycats. Who knew these would become so popular? I was thinking back to other popular toys that have made their way around to friends’ kids in different states. It always started in waves with my Chicago-area friends talking about the latest toys before my west coast friends. There are also timeless favorites like the Rubik’s Cube and Pokemon cards. Variations include the 2×2 Rubik’s Cube and other sizes, as well as other trading cards, including football cards. As I mentioned above, these remind me of the loom making bracelet and necklace kits. A little less popular, but a fad as well, was those Ty Beanie Boos with the big eyes. What makes these fidget toys so popular and appealing is their size and portability. Fidget cubes and hand spinners are “the thing” to do, much like water bottle flipping has become so widespread. It’s sometimes difficult for children to sit still. Spinning a fidget spinner toy gives them something to do. They can learn tricks, including spinning it and tossing it from hand to hand while it’s still spinning. They can put it on a pencil and spin it. Some people even try keeping it spinning while it’s balancing on their nose or knuckle. Kids have fun being creative with them and sharing them with their friends. Being these toys are small, it makes them portable and accessible for kids. It’s like with Fitbit for kids. When it’s a small contraption, it becomes a part of their world, much like back in the day when we wore watches instead of using our smartphones to check the time. It’s interesting in this retail space that there are some really high end products as well. For example, there are more expensive spinners made with stainless steel, copper, brass, or titanium. Most likely, companies will market them through Youtubers in an attempt to reach teenagers and young adults. I can’t imagine paying this much, nor do I believe it’s worth it for what the toy is. But it’s definitely a status symbol, and they are probably really cool to use. We haven’t tried any of these but we saw them on Amazon. The idea is the same as the non-clicking aspects of the fidget cube: Soothe yourself by spinning and moving the links and bands around. I don’t think my kids would like the fidget chain as much as they like the fidget cube. However, if someone has special needs, it may be a good choice. We’ve seen these sold in multiple packs, for a classroom. The idea is that the person rolls a marble back and forth. The marble is inside a tightly-woven mesh nylon pouch. These wouldn’t make any noise and would work well in classrooms for children who may need soothing, sensory work, or other needs. The concept is great but it’s hard to put too much on top of a pencil. I think my kids would like a fidget pencil topper but it seems like it would be a big distraction in class. Yes, there are fidget cube accessories, as well. Antsy Labs offer a Prism which is a rubber-looking holder (it may well be a hard plastic; hard to tell) which wraps around your fidget cube. It currently is available in seven different solid colors. You can use it as a keychain to carry your fidget cube. Or you can use it to hold the cube without the keychain. It looks like it would be a great add-on to your fidget cube. If you do choose to get a fidget cube and fidget spinner, you will find they are definitely fun and addicting. I love that these toys are helping to keep my kids off electronics. It also seems that while this is sort of a fad right now, it will probably be more along the lines of a Rubik’s Cube and trading cards. Maybe your children won’t play with these fidget toys for months at a time after the hype ends, but they will be something they return to at times. Maybe they will bring them on road trips. You can thank Antsy Labs for their Kickstarter campaign which started it all. Have you heard of the fidget cube and fidget spinner? They are inexpensive and popular with kids and adults. Touted as a way to ease stress and reduce anxiety, these small fidget toys are all the rage. Even if someone has one, they would probably love a second. They are small, portable, and inexpensive.